Jaina Jaina will beat you in a 1v1 pretty much anytime unless she whiffs a skillshot really hard. Her burst is significantly higher than yours, and she keeps one shot potential over you at equal level at all times. Be careful with fog of war, as she can easily kill you over a wall. Falstad He's not so much of a threat as much as he is someone you won't be able to kill. He outranges your abilities far too much, and you'll definitely take more damage from attempting to even cast a spell on hime as opposed to simply avoiding him altogether. 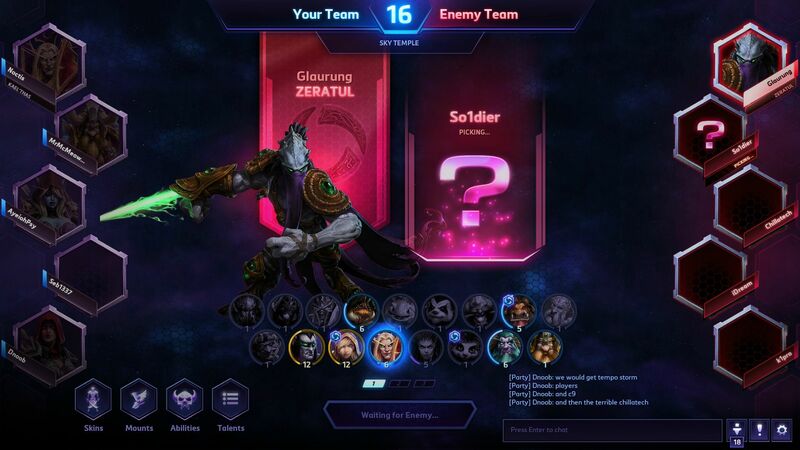 Zeratul If you see him, it's not that big of a deal. If you don't see him, you're going to have a problem. Zeratul can deal heavy damage to Kael'thas and make it very easy for his teammates to clean up after his initial burst. If you see Zeratul approaching, you can mitigate the damage via a stun, or just avoid his blink in + damage combo entirely. However, at level 20, Zeratul will definitely be able to kill Kael'thas in a CD cycle because of rewind. Illidan Illidan is literally unpeelable. There's no other way to describe it. He will get on top of you and stick on you until you are dead. You need to ask for some serious CC from your support, whether it be Brightwing with polymorph or Uther's stun. Otherwise, you not only present no real burst danger to Illidan (like Jaina), but you are also even more immobile and squishy. Immobile squishies are delightful for Illidan to eat. Tyrael If you play against Tyrael, you may as well boot up a season of Seinfeld. You're going to have a lot of time to do things other than play Heroes of the Storm with all the time you're going to spend dead. His ult is a gap closer with hard CC, and it pretty much guarantees a death on Kael'thas if you're located anywhere but surrounded but five of your team mates and behind a wall (but he can actually get over that, too). Tyrael gives Kael'thas a really, really hard time, and he'll punish any mispositioning heavily. Before you read this, you're probably wondering if you should even listen to my opinion, or whether or not I have any idea what I'm talking about. I kind of do, so I'll list a few minor credentials here to encourage you to at least hear me out. I'm currently Rank 3 with ~67% win rate. My team, Texas A&M, also finished in the Ro8 in Heroes of the Dorm. I'm their Assassin specialist. To get an idea of my MMR, here's my queueing into C9 iDream. 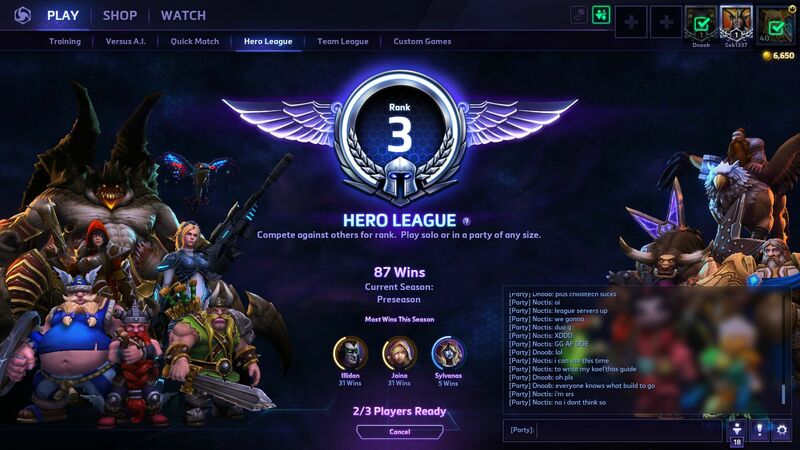 I started playing Heroes in the beginning of April, but I have a lot of experience that carried over. I also wrote the most popular Yasuo guide on Solomid (if you know what that is). I hope to give a level of detail in this guide that makes it worthwhile to new players and veteran players. 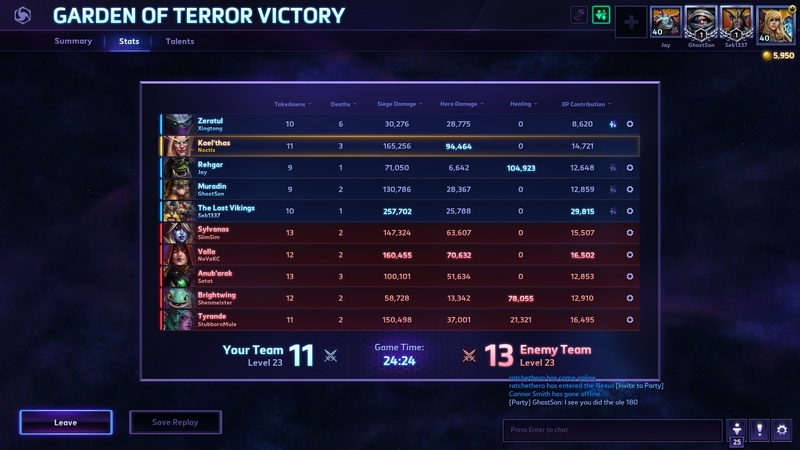 Kael'thas is, according to Blizzard, an Assassin type carry. He carries extremely high potential for damage, but is burdened by a tremendous lack of mobility. My particular definition of assassin's tends to be high burst, combo reliant mage that's capable of picking someone off quickly. Kael'thas is capable of that taking a different build path, but since Heroes of the Storm is such a team-fighting dependent game and Kael'thas lacks mobility options, I play him a bit differently. Instead, you're going to play Kael'thas more like a control mage. I say control mage meaning you spend most of your time focusing on damaging what you can at a given time, creating windows of opportunity for your team through a sustained damage threat. Whether that be through careful rotations of your Living Bomb, or zoning off the enemy through Phoenix, Kael'thas's potential for massive AoE damage gives him a lot of power over the flow of the game. I do not consider Kael'thas a combo mage / assassin. He has combos, yes, but you shouldn't be considered with optimally bursting a single target. Rather, you wait for opportune moments to maximize your AoE damage by the spread of Living Bomb and landing large, Verdant Sphere empowered Flamestrikes to cause a chain reaction of destruction. 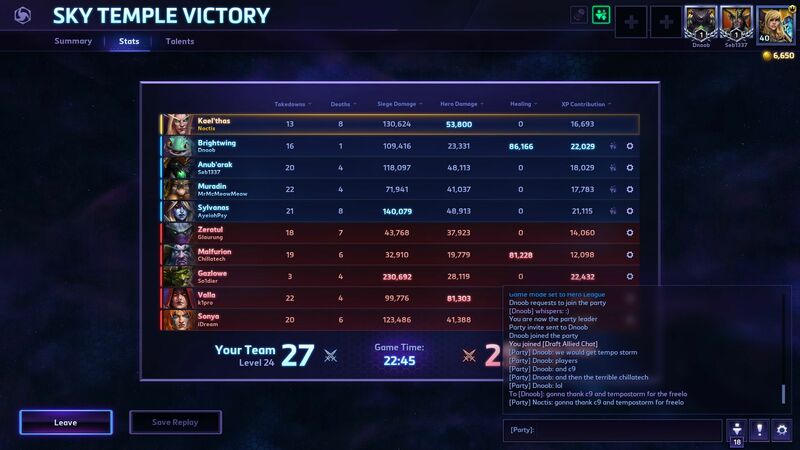 Kael'thas is a balance between cycling your cooldowns and understanding opportunities. You don't want to blow all of your CDs on ETC just because he walked into range, only to miss out on a 5 man Verdant Spheres + Flamestrike -> Living Bomb combo that aces the entire team. But at the same time, you don't want to sit on your abilities all day not casting anything because you're waiting for that perfect setup. Mastering this is a must. Most of your rotations will deal with either empowering your Q or your W, but sometimes, you'll get a situation in which E can be super nice. However, I almost never recommend using your E to stun multiple people because of how much it cuts down your damage potential. If you choose to do that, you need to ensure that either the enemies you're stunning pose a large threat, or your team has significant follow-up damage. Otherwise you're stunning them just to make them look pretty. This is a spell that you want to use when you're poking at large distances. It's much safer than Living Bomb due to its range, and using Verdant Spheres on it helps you land it much easier, as well as do increased damage. It does the most *burst* between Verdant Spheres + Flamestrike and Verdant Spheres + Living Bomb (assuming you immediately reactivated living bomb). On top of that, Verdant Spheres will pretty much always be up in time for Flamestrike. At level 16, this will apply Living Bomb, dramatically increasing the pressure it gives - at this point, prioritizing Flamestrike becomes a necessity. This is your bread and butter. You should primarily be using this spell to push and harass early on. It has low mana cost, and a relative high amount of damage. Once you get the talent at level 13, you'll be able to spread Living Bomb much easier, increasing your AoE damage significantly. You need to be judicious with this spell. It's best used when you're using it to peel someone off of you when you do this build. The prime use of Gravity Lapse is not to stun someone to get kill pressure, but rather to make sure that you aren't killed. The longer you're alive, the more damage you're going to do. This spell is fantastic for its massive zoning potential. If you place your Phoenix down at a chokepoint, or at the gates of an objective, oftentimes the enemy team has to immediately back off due to the amount of damage it deals. It cannot be repositioned unless you take the talent at level 20, but it serves its purpose as a zoning mechanism. This ties into that concept of a control mage. You can actually use the phoenix to force the opponent to maneuver in ways they don't want to. I don't really recommend this talent, but I'll mention it anyway. It does a decent chunk of damage, but it has a pretty long wind-up time, and you can't really accurately gauge how many people you're going to hit after a 2 second cast time. [*] CAST WHAT'S IN RANGE. No matter what you're casting, or what your options are, it's better to get damage off when the opportunity presents itself rather than bait yourself into dying. Granted, the other side of this is that you have to wait for good opportunities to show up. If you can tell they're about to cluster, saving for that Verdant Spheres + Flamestrike -> Living Bomb just might be better than spamming Living Bomb on the tank that walks up to you. [*] Save your ultimate for when you're needing to zone off the enemy team, or you've got a tremendous amount of lockdown. [*] - WARNING - THIS is your lifeline. DO NOT USE IT OFFENSIVELY TOO OFTEN. You should be using it to keep pesky divers (Illidan, Tyrael) off of you. [*] From levels 1-15, you should focus first and foremost using Living Bomb *only when someone gets in range of you for it*. Do not over-extend to use Living Bomb. It will get you killed. I cannot stress this enough. Poke with Q instead. This is what you're going to spend most of the game doing. You should try to wait for any hard CC from your team to follow up on any of your flamestrikes - if there isn't, you should either time your spell, or wait. Losing your E is normally not worth it, as it makes you super vulnerable. Use this pattern sparingly. This build is not meant for 1v1 solo killing, it's meant for team fighting. Only do this if your team has caught someone out (for example, Diablo dashed and slammed someone in front of you). I say sparingly, but this will happen often. Know this pattern so that you can execute it when it's needed. You use flamestrike here first because it's most likely to hit more targets (as the radius is larger). The living bomb attached to the end will detonate on any of the flamestriked targets and stack a new living bomb on top of it (which has the potential to spread). Mana Addict - We choose this talent because Kael'thas has quite a bit of mana problems. By having this talent, at about the fifteen minute mark you can look to see 200-300 additional mana, which comes out to 4-6 spells. Considering cooldowns, that's actually half a minute to a whole minute of increasing casting. Nether Wind - We choose this talent because Kael's E is the closest thing he has to an escape. Ensuring that you land it on would-be pursuers/divers is critical to making sure that you're not dead. We can also *occasionally* use it to set up a single target kill, but please bear in mind you need to use it to keep yourself alive. Gathering power is another alternative here, but it's not quite as good. It requires you to not die very often to reap the full benefits, and as the most immobile champion in the game, you're going to die. This is a critical talent. We're building around living bomb, as it provides the most AoE damage. It pairs extremely well with talents at levels 13 and 16, and also provides the optimal damage output. We go for Phoenix here. It has a tremendous amount of zoning potential and remains a threat for a very long duration. This can force the enemy team's hand and make them play in compromising situations. This is where our power-spike kicks in. Level 13 is when Kael'thas is able to spread Living Bombs by exploding Living Bombs. You want to attach these where-ever you can - structures, people, minions. All of it spreads, and casting one early detonates the previous one which will cause that one to spread. Think of it as any other fire - except you want to spread it as much as possible. This empowers our flamestrike tremendously. Once you get this talent, you prioritize casting flamestrike on as many people as possible (while casting single target living bombs when applicable). You essentially get to cast a flamestrike while also casting living bomb on 1-5 people at the same time - which can, of course, be detonated due to the talent at level 13 by a W cast living bomb. Bolt of the Storm and Rebirth are both viable here. Kael'thas has no escapes, so Bolt of the Storm is almost essential. It's better to reposition yourself to not die than to reposition your Phoenix to pump out a little more damage, because an alive you is always going to do more damage than a dead you (usually). However, sometimes your team needs that one true carry that can stare death in the eye, see the enemy team falling deep into its pits and chasms, hear them call for help, and only look down silently with an expression that speaks volumes to the deaf, "No." If you're that Kael'thas, Rebirth is an extremely valuable DPS talent. The ability to reposition the Phoenix lets you change a massive zoning ability on the fly, and doubles its duration. You can force the enemy into chokes or pigeonhole them otherwise, or maybe just get a really big CC chain and melt everything. The world is your oyster. Bear in mind Kael'thas already does a ridiculous amount of damage at this point, so you should really do this if you're literally the only damage threat on your team (see the firest damage chart I posted with ~100k damage).